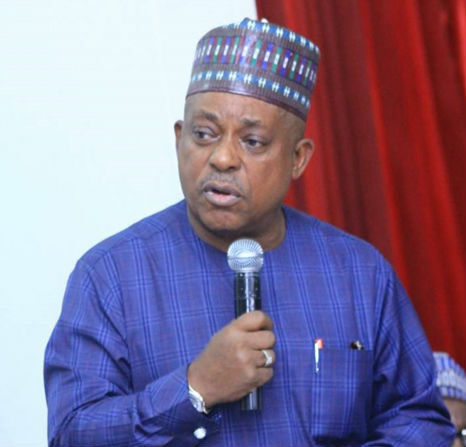 The National Chairman of the People Democratic Party, PDP, Prince Uche Secondus on Monday, advised Muslims to use the Eid-el-Kabir season to call on God to save Nigeria from President Buhari and All Progressive Party, APC. The Party Chairman made the call in a message marking the Eid-el-Kabir which was signed and made available to newsmen by his spokesperson, Ike Abonyi. He said, “There is no dispute to the fact that Nigerians did not bargain for what they are getting in the hands of APC but the beauty of democracy is that it provides the people an opportunity to make changes and this they must ask Allah to guide them accordingly. “We have all witnessed the unfortunate turn of events in our country since 2015, particularly the sudden decline in the economy, rising dictatorship, political tension, avoidable bloodletting and general insecurity in the land. Secondus noted that while it would be understandable, the indignation, frustration and disappointments from the citizens caused by the long list of unfulfilled promises and dashed expectations under the current regime, period of sallah provides for them to return to God in supplications to change the situation. “On this note, the National Chairman of the PDP, on behalf of the PDP National Executive Committee, wishes all Nigerians joyful and peaceful Sallah celebrations,” he added.